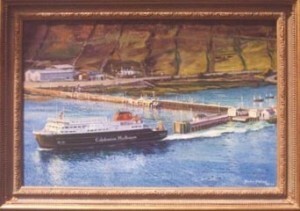 Caledonian MacBrayne, better known as Calmac. 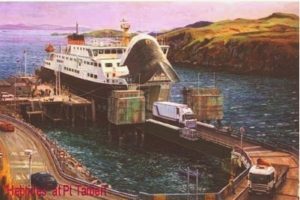 Welcome aboard, click on the picture for a larger image, click on the blue hyperlink to find the individual page. 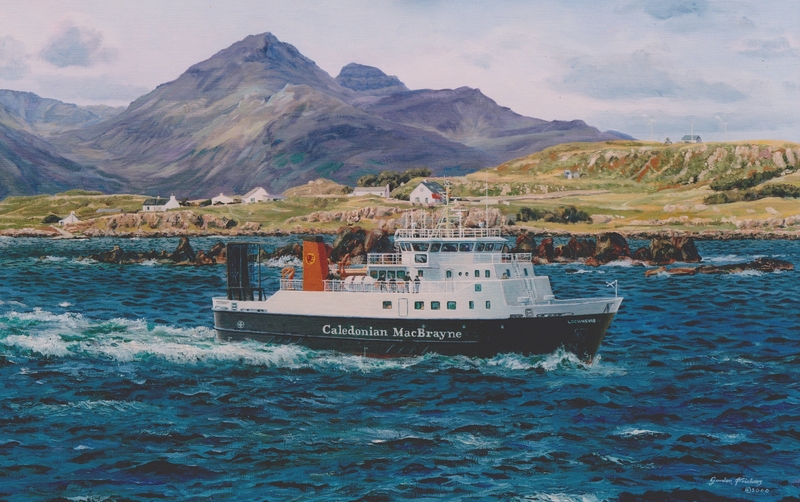 “There is an enduring quality, capturing an aspect of our now for future generations, great painting.” said Capt J. Simkins, Managing Director, Caledonian MacBrayne . 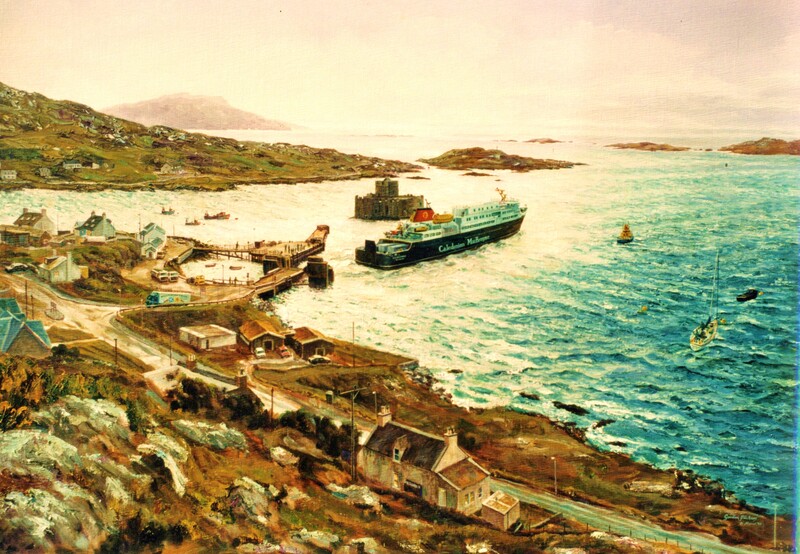 ‘Clansman’ at Castle Town, Barra, Outer Hebrides (available as a signed numbered print). “nothing moves in the isles without Calmac“. 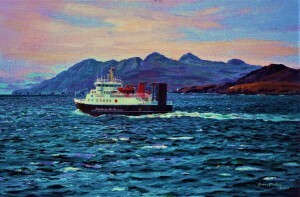 This page is the home page for the Calmac paintings or to give the company its formal name, Caledonian MacBrayne. 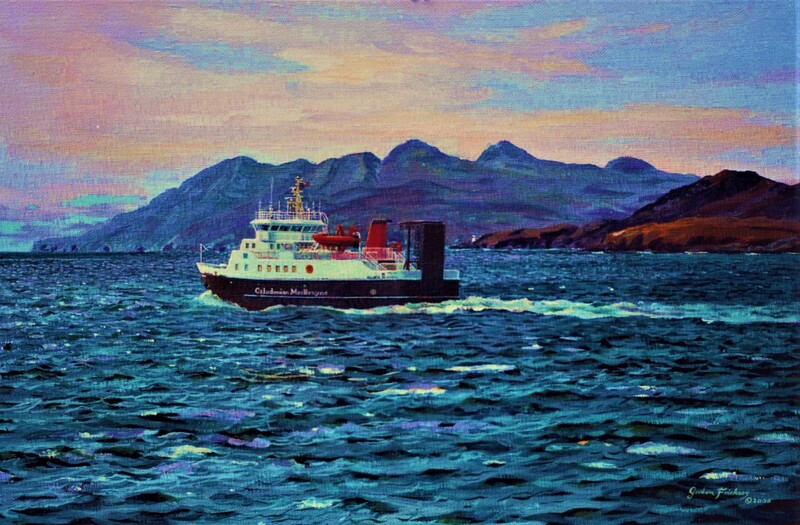 I was fortunate to be commissioned to produce a series of paintings for this famous company about whom it’s affectionately said, “nothing moves in the isles without Calmac“.